I discovered my new favorite deep conditioner in my kitchen by accident – sort of. Over a year ago, I’d been told by a hair stylist I was working with on a shoot to use coconut oil on my ends while coloring my hair. He said to just grab some from the cooking section of whole foods. I thought “Yeah, yeah, yeah, I’ll do that.” WELL, GUESS WHAT? I didn’t do it. Fast forward to January 2013: my New Year’s resolution was to “east clean.” (It’s been going very well, thank you.) 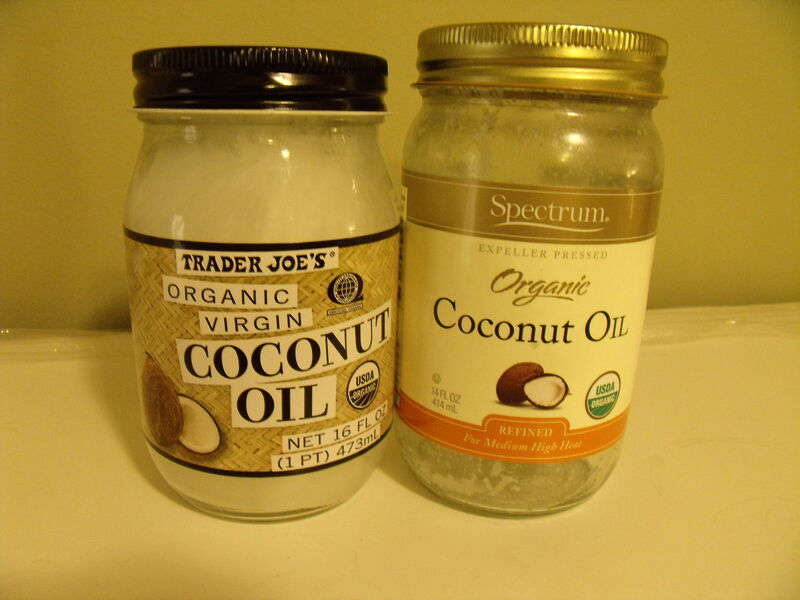 I started using coconut oil instead of olive oil for cooking, its supposed to be safer for cooking at higher temps. Blahblahblah. At any rate, I started putting small amounts of coconut oil on the backs of my hands and cuticles and rubbing it in while I was cooking. Anything to make cooking less boring for me. My hands got SO soft and I flashed back to the hair stylist telling me to use it on my hair. Ladies and Gentlemen, this is where the miracle happened. I started putting a small amount of oil on my ends everyday. Like, the teeniest amount, just for shine. On days I would wash me hair, I’d use a little bit more, and once every other week I’d do a full deep conditioning treatment. MIRACLES. No more dry ends or split ends. Shiny, bouncy hair on the days I used a teeny bit. It was all happening, kids. How I use coconut oil for the deep conditioning treatment: Obviously, you’ve got to be careful how much and where you put the oil in your hair. About 15 minutes before I get in the shower, I take a quarter size ball from the jar. You might need more or less depending on your thickness and length. The oil comes out semi-solid, but easy to scoop, sort of like ice cream that’s been out of the freezer for a half hour. Turn the oil into liquid by rubbing it between your palms, then distribute it evenly on the last 3 to 5 inches of you hair or layers. Just be careful not to put it directly on your roots. 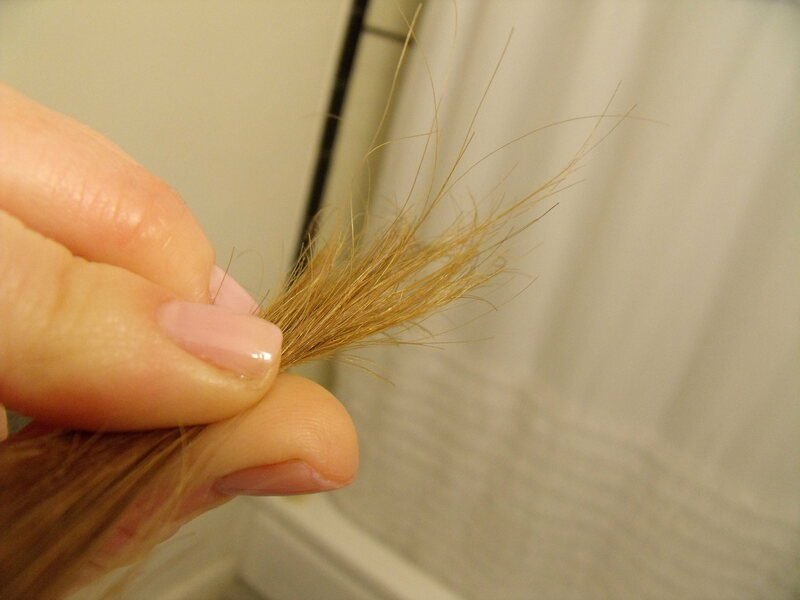 Then, using only what’s left on your palms, rub that small amount through the roots and top part of your hair. If you have naturally oily hair, avoid the roots. If you have a drier scalp and/or color your hair like me, the extra oil will be beneficial. If you hair is extra dry, put it on an hour before your get in the shower. To really help the oil work, after the oil is on, wrap plastic wrap around your ends if you feel like it. I’m always too lazy to feel like it. Shampoo and condition as you normally would (maybe go a little lighter on the conditioner) and watch for the miracles to happen for you in front of your own eyes. That’s cool you used to make products! I love coconut oil, it has worked wonders on the ends of my hair! !